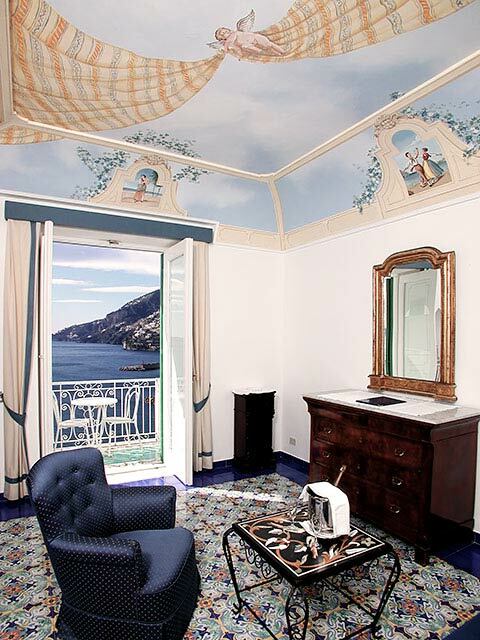 The Hotel Luna Convento occupies a truly enchanting position overlooking the bay of Amalfi. In addition to its wonderful location and stunning sea views, the building is of undisputed historical and architectural interest. 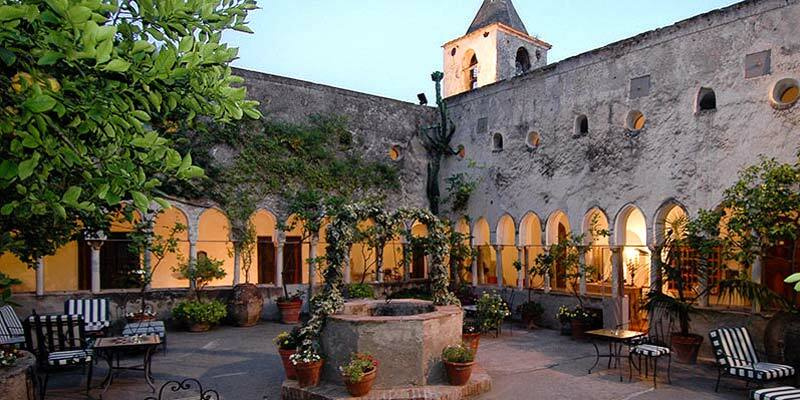 As the name of the hotel suggests, the building originally served as a convent. 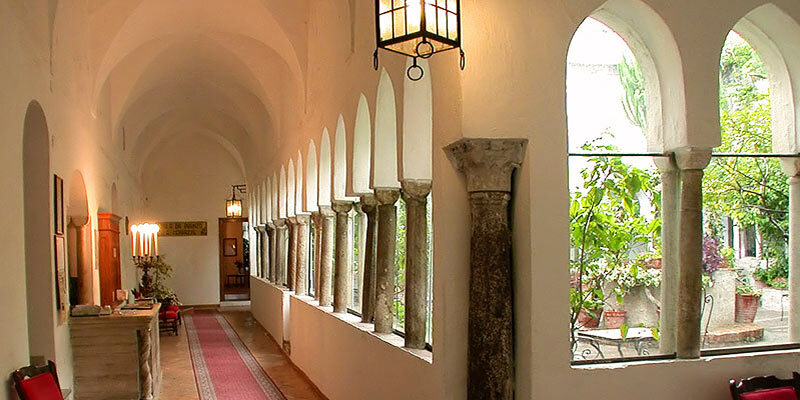 The cloister, in the heart of the complex, was founded by St Francis of Assisi in 1222. The small private chapel of the same era is still used for intimate wedding ceremonies. A later addition to the property, a watch tower built in the 1500's, served so as to guard over the Bay of Amalfi which was often victim of pirate attacks. The perimeter of the picturesque cloister was once lined by monks' cells. These cells have been skillfully transformed in unique guest bedrooms, fitted with all the modern comforts of a four star hotel. 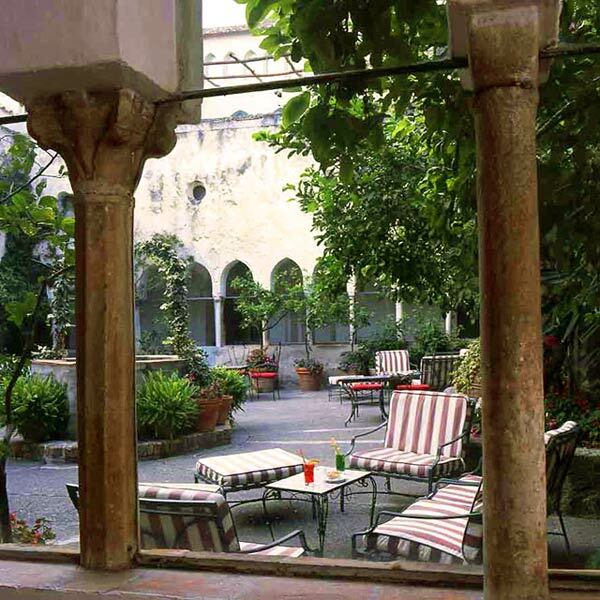 The 40 rooms and 5 suites of Hotel Luna Convento are all individually decorated in classic Mediterranean style. The elegant suites contain furnishings made by local craftsmen. 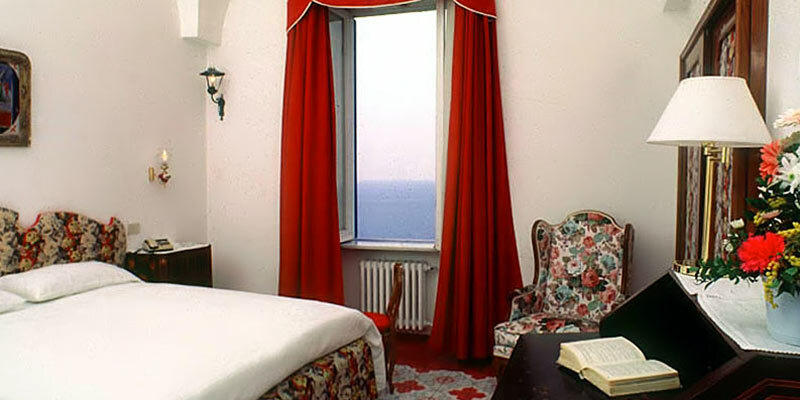 The Torre Suite, situated in the ancient watch tower and offering incredible views of the Mediterranean sea and the Amalfi Coast, has been the chosen accommodation of stars of the silver screen of the caliber of Humphrey Bogart, Ingrid Bergman, Roberto Rosselini and many others. The Hotel Luna Convento has a fabulous swimming pool'' filled with water from the sea, a solarium and sun decks all right on the sea edge. 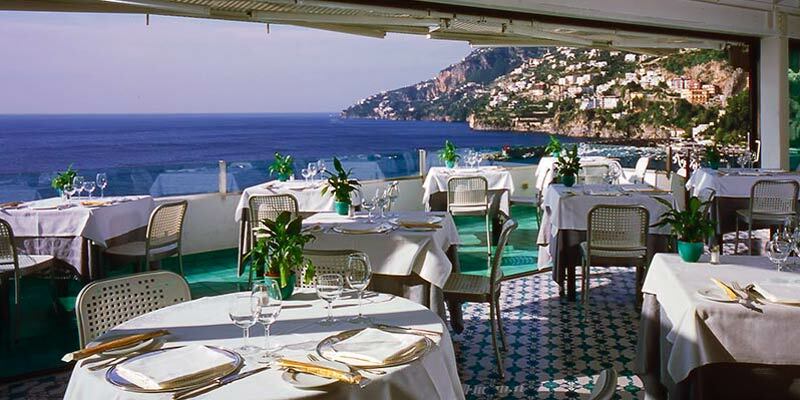 The hotel's restaurants serve excellent Mediterranean cuisine and the finest local specialties. A piano bar faces out on to the wide panoramic terrace'''. 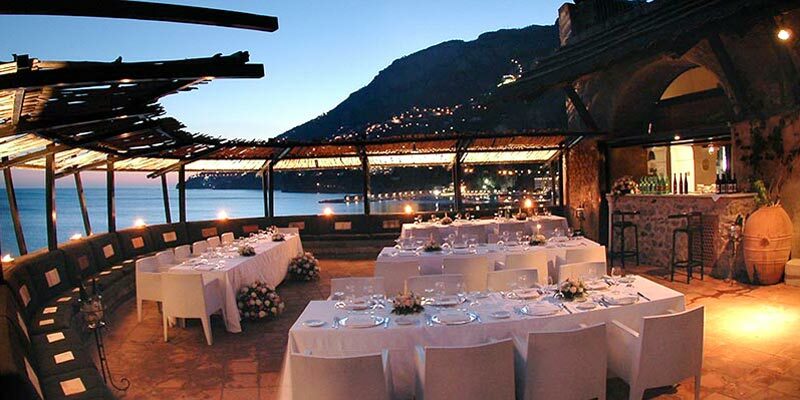 The Hotel Luna Convento is the perfect location for glamorous weddings and all manner of top event to be held on the Amalfi Coast. In the last 30 days 54 people have visited this page. 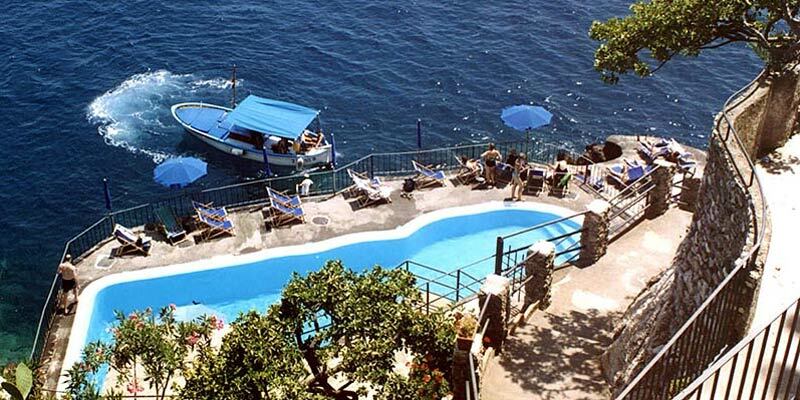 The Hotel Luna Convento in Amalfi Coast is perched directly on the sea on the east side of Amalfi overlooking the entire bay and within walking distance to the town centre. 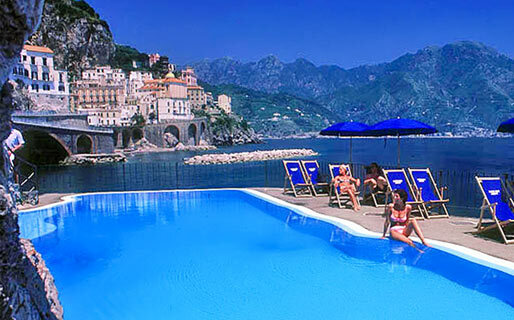 Amalfi is a beautiful resort, former Marine Republic, has a rich artistic heritage, cultural and historical. There are close: Maiori, Minori, Ravello e Furore.